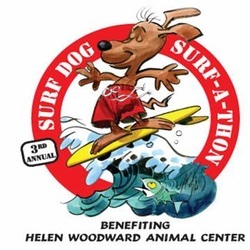 for their "BEST IN SURF FIRST PLACE WIN"
at the 2013 Helen Woodward Animal Center's Surf Dog Surf-A-Thon. 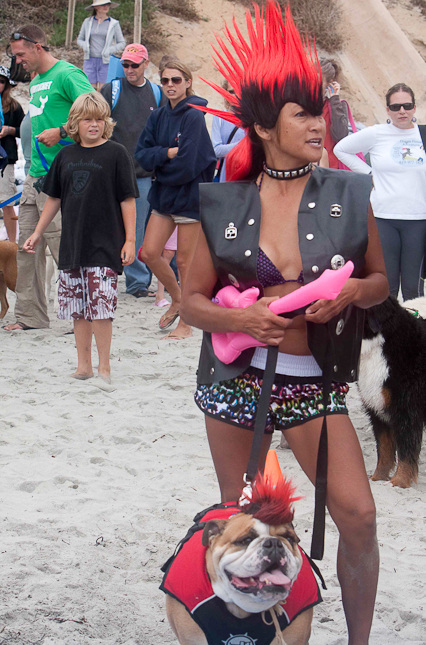 They now are in sole possession of WAGGING RIGHTS for 2013! This win was long over due! resting, dreaming, dozing, soccer and chasing beach babes. Pet Peeves: Being late for dinner, being awakened, flat surf and flat soccer balls. 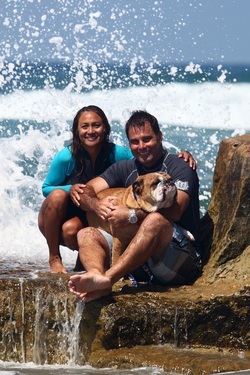 Favorite Food: "All You can eat"
Dozer's Story: Gigi and I brought Dozer home in July of 2006. He immediately brought joy into our lives and the lives of many others. He is a funny dude with a pure heart and is able to put a smile on any face. 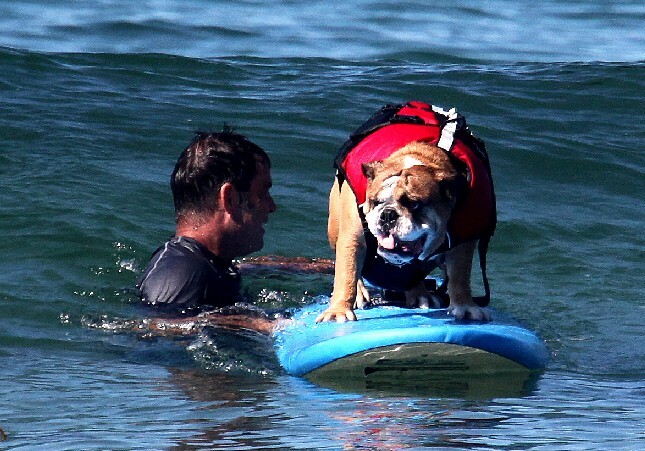 The next day we rented a soft board, bought a dog life vest and the rest is history. 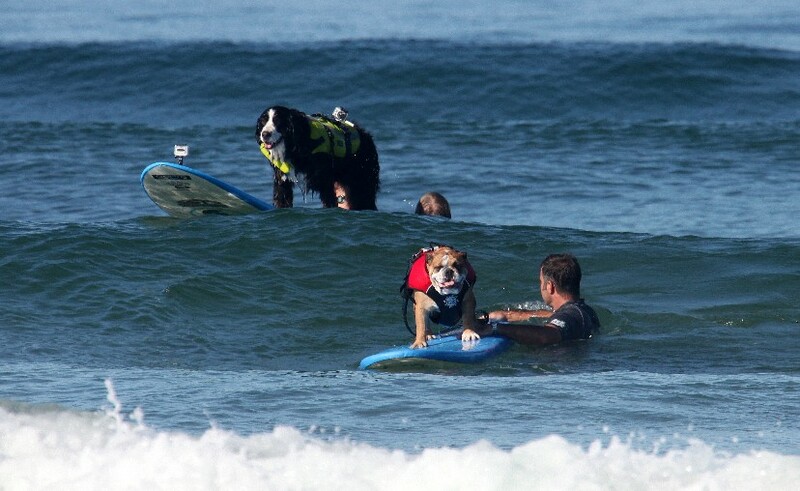 What I noticed right away was Dozer’s ability to stay on and take it to beach. 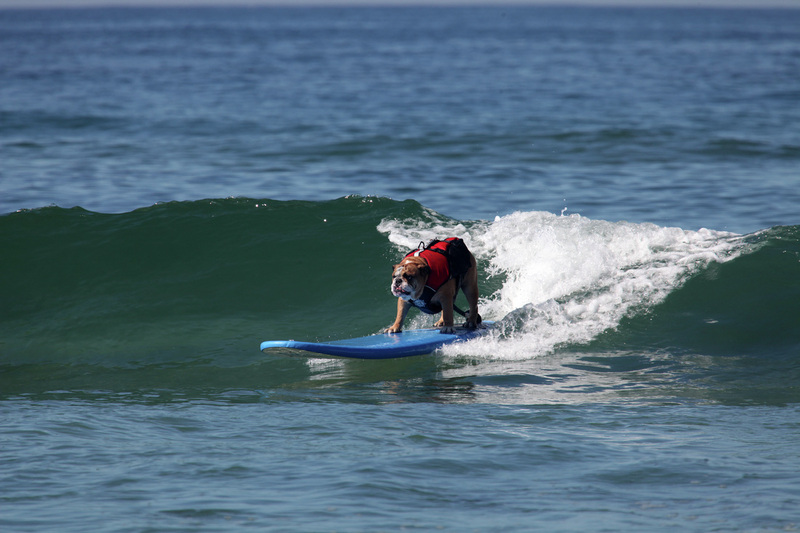 He was so sure and solid on the board that I quickly nicked named him “Da Bull 2.” He reminded me of the human surf legend Greg Noll. 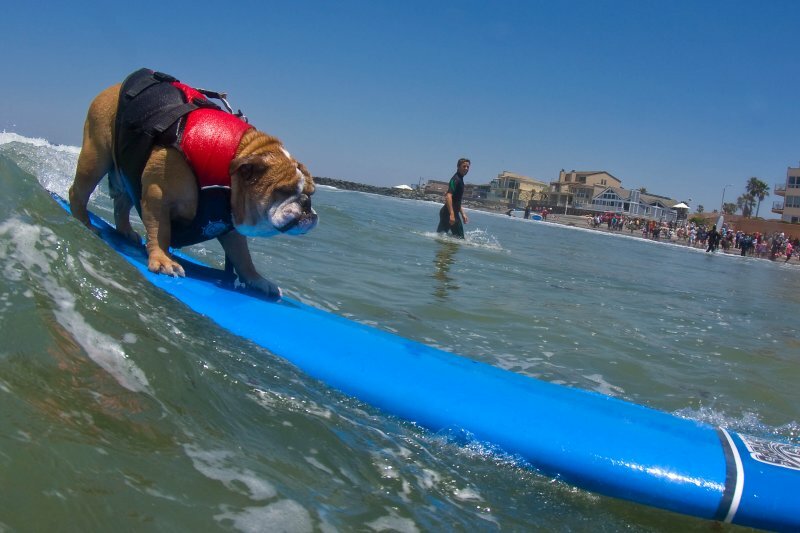 The same no nonsense style and determination to make the drop characterized Dozer's surfing. 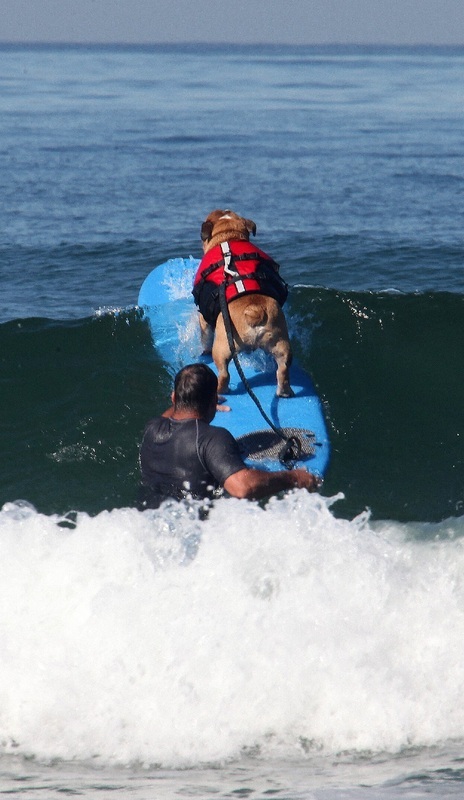 Dozer loves to surf and we enjoy seeing him excel at something he loves to do. 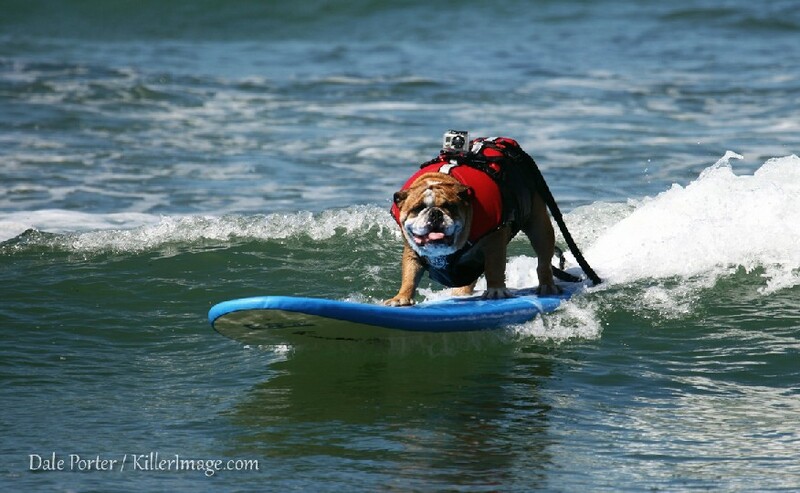 Beyond Dozer’s surf ability, he has done something amazing in my life. 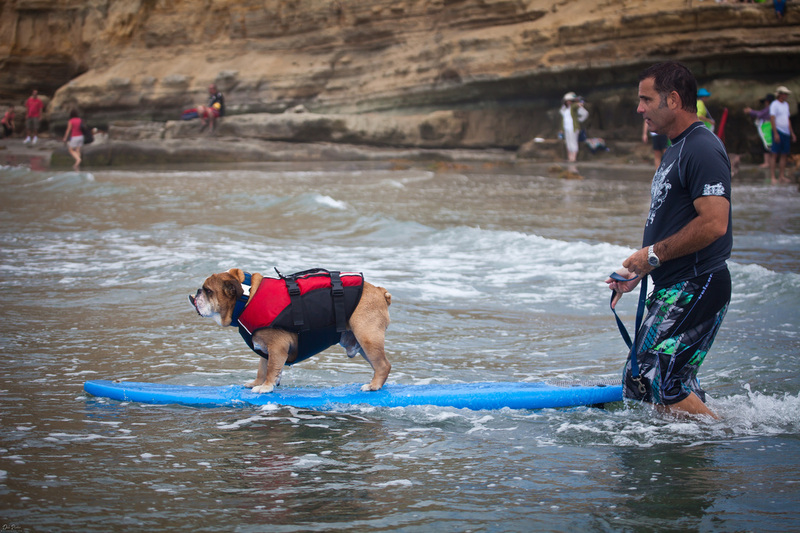 As a native San Diegan, I grew up surfing and loved being in the water. 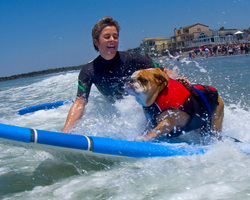 Due to two cervical spine surgeries, I had to make a permanent exit from the ocean. 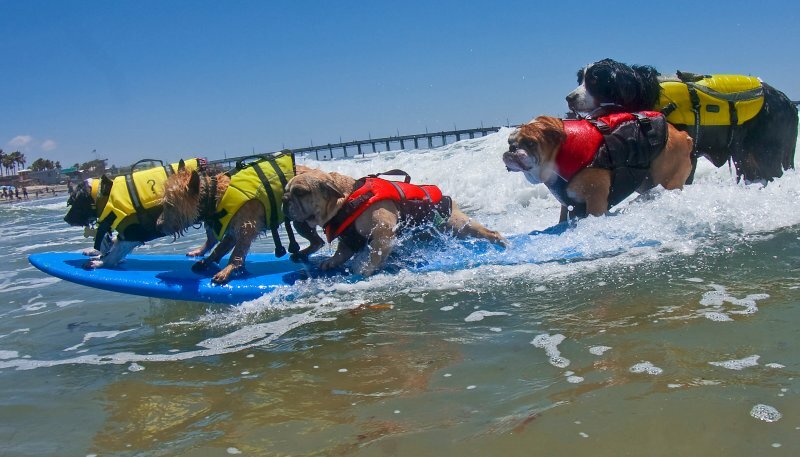 The sport of surfing was taken away from me and I was not happy about that dismissal. 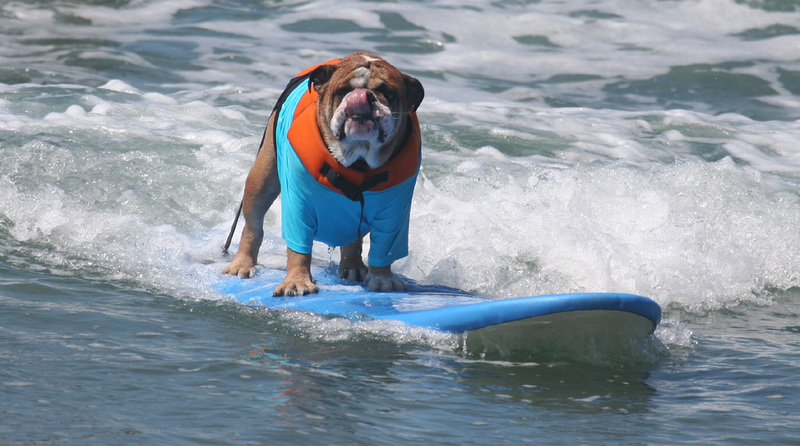 I was so bummed by the lost love affair that I avoided being around the surf. Well, Dozer rescued me from my “surfing despair” and I am back in the surf I love. I am now surfing vicariously through Dozer. I am back out in the line up so to speak. 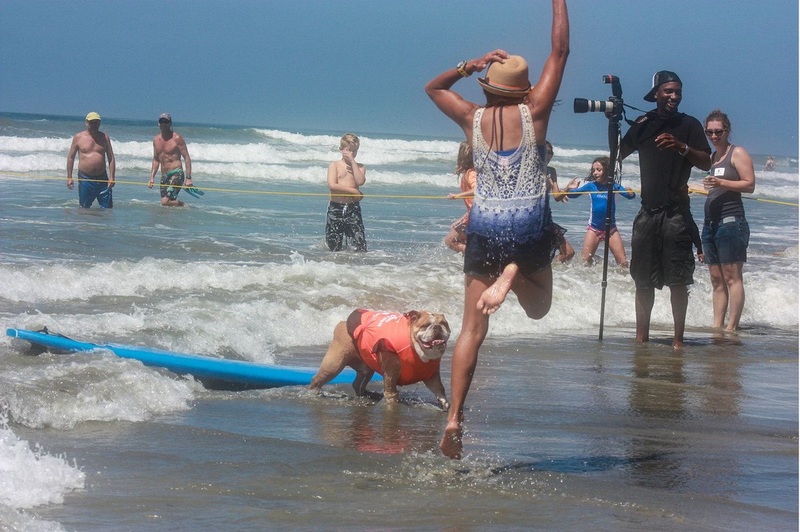 The magic of surfing visits me every time Dozer and I make our way out to the line up. 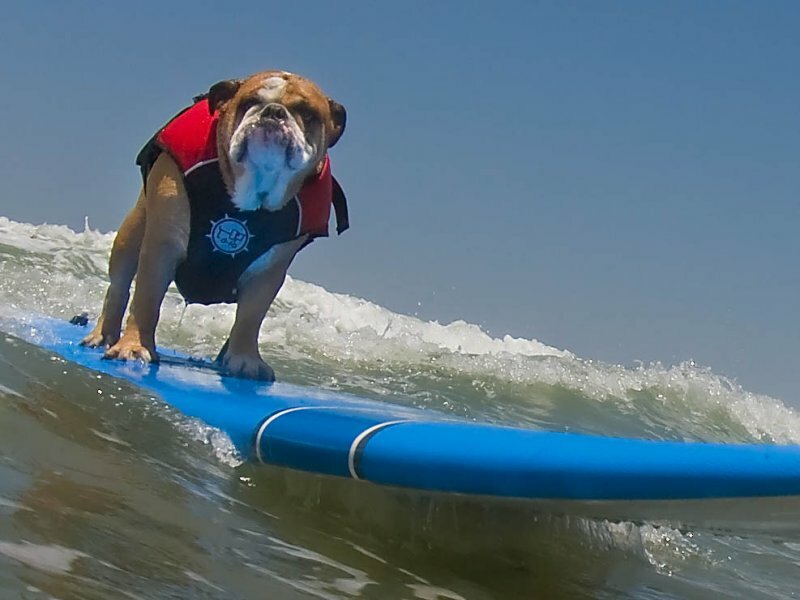 When that perfect little wave sets up and I turn Dozer around and I sense the energy of the swell and as I push Dozer into the clean swell… I am surfing again! Dozer and I love it! 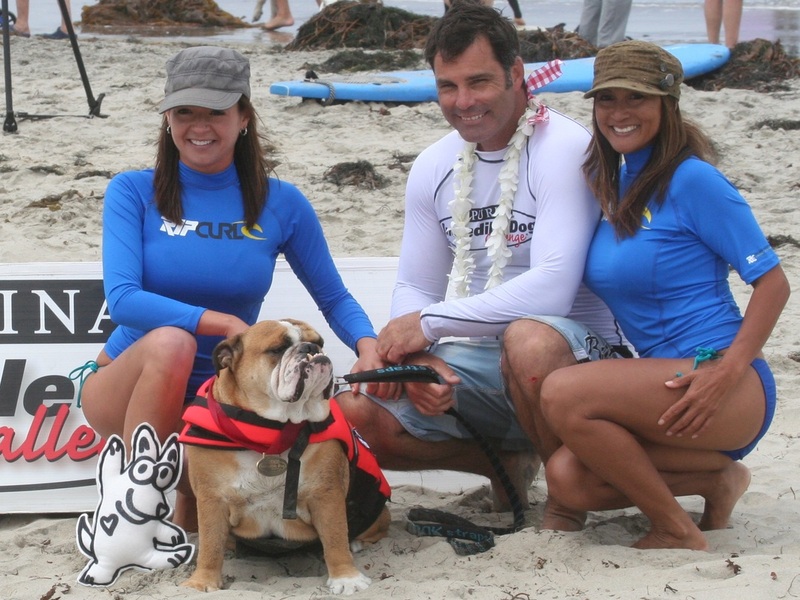 Gigi too, Dozer's biggest surf fan! 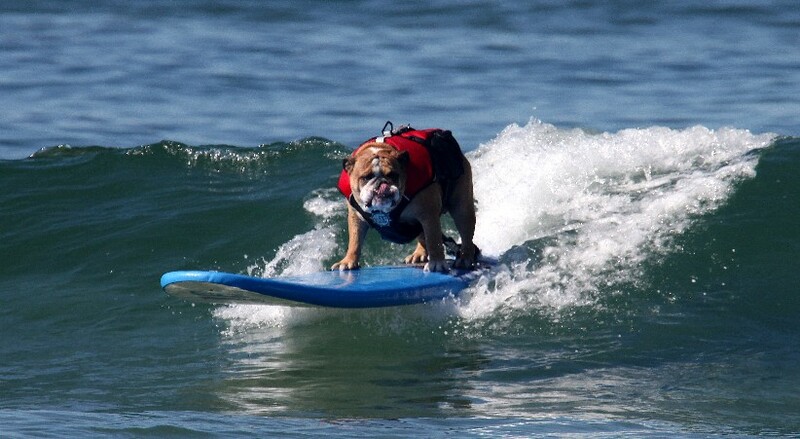 Dozer appeared as one of the surfing dogs in the Marmaduke movie. He also appeared in a sketch on Saturday Night Live. 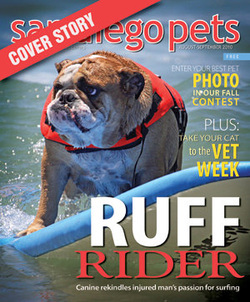 He was featured in Dog Fancy Magazine and San Diego Pet Magazine. 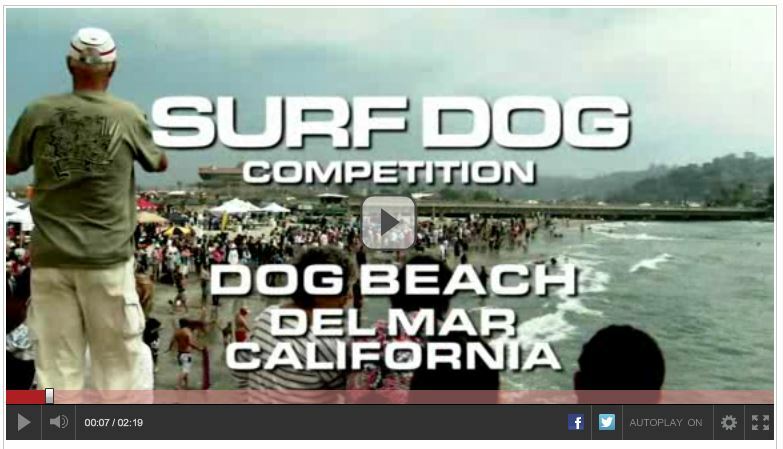 Along with So Cal Surf Dogs Team mates Nani, Ricochet and Toby, Dozer won the Billboard contest for the 2011 Helen Woodward Surf Dog Surf-A-Thon! 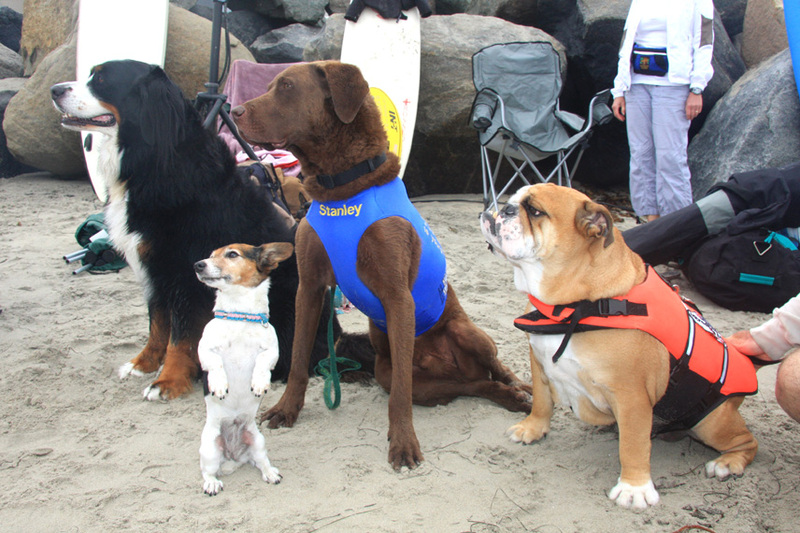 Dozer and his SoCal Surf Dog Buddies Nani, Ricochet and Toby were featured on the PR Newswire Big Screen in Times Square New York and Las Vegas! First Place Doo the Dah! 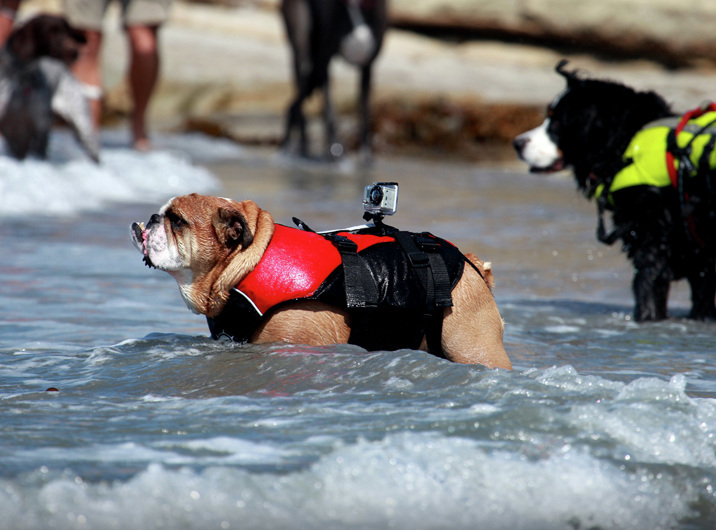 at Dog Beach in Ocean Beach, San Diego, California. 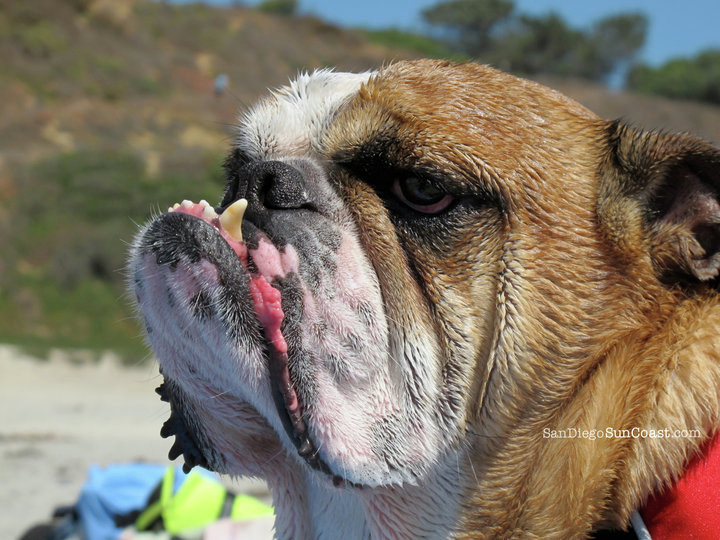 Click on the photo to see Dozer's commercial, some out takes and photos! 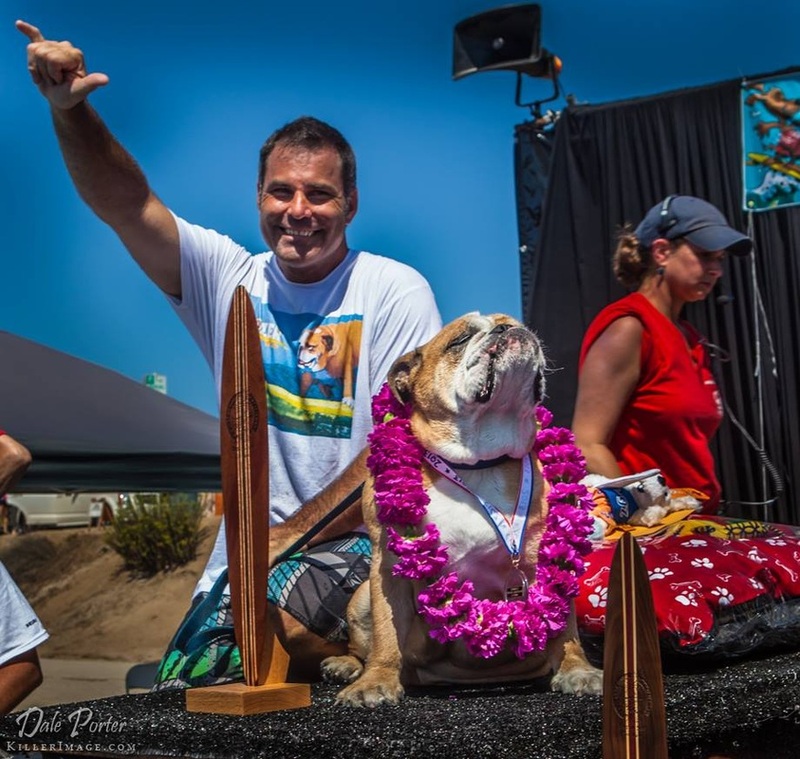 Doug and Dozer were on San Diego's Fox 5 TV on Thursday, May1st, 2014 promoting Dozer's new book and his Book Signing Eventto be held in Del Mar on Saturday, May 3rd 2014. They will be at Urban Girl Accessories in the Del Mar Plaza from 11:00 am to 2:00 pm. 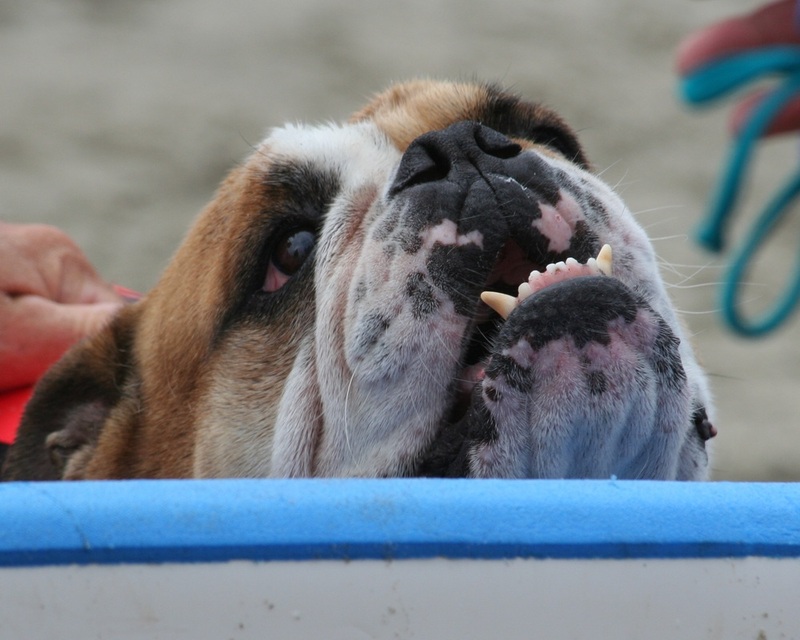 Dozer's latest commercial is for FUZE! before the featured movies at the Edwards Cinemas! 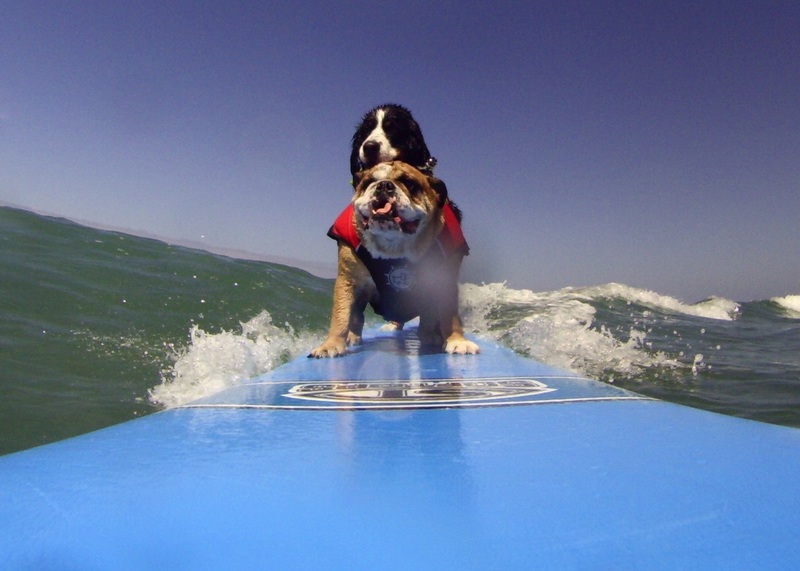 Dozer is surfing with hie buddie Max on a very custom, one-of-a-kind surfboard.